I have an 8 year old tripawd Golden Retriever. She had her initial amputation surgery when she was 18 months old. This initial surgery left her femur in place. This past Fall she developed a bulging disc for which she had surgery and at the same time they totally removed her femur, hip, socket, everything. She goes for physical therapy, laser therapy and accupuncture on a regular basis. She takes Chinese herbs as well. Now, 6 months post op she is experiencing back issues again. She can only go on very short walks (5-10 minutes) and she’s done. We’re contemplating getting her either a wagon or stroller but was wanting some input as to others who have used one or both of these options and what their experience was. She is a therapy dog and we are hoping to still let her continue her visits as much as possible. Use the advanced search above to find many posts and pictures from others who have modified wagons or used strollers. 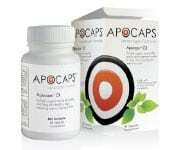 You can also search all blogs here . The Tripawds Gear blog has a selection of recommended pet strollers, as these are usually designed for esier access and lower to the ground. Various members have also reported success using folding garden wagons over the years, just can find the specific reviews right now. Just to add to that, we’ve found that members LOVE their pet strollers! They’re not a substitute for keeping a Tripawd as strong as they can be, but they are a good addition to the tools we can use to keep their lives full of adventure and fun. By the way, rehab therapists have told us that an ideal walk for a Tripawd is under 20 minutes, tops. Shorter, more frequent walks throughout the day are better. We tried out the Booyah Stroller with Wyatt Ray and he had a blast! He doesn’t go more than 10 minutes himself despite all the rehab therapy and pain management he gets, so we need to get creative with how he gets out in the world. Since we live in our RV and don’t have the ability to haul a stroller around, he uses a wheelchair for longer walks (say, 15-20 minutes tops) and it’s been working well. I haven’t used wagons but have lots of stroller experience and I did modify one of my strollers by adding a wagon handle so I could pull it behind me. I should say that my dogs are small but I have used strollers for my past 4 dogs (Tripawd, knee surgeries, old age, and now another Tripawd). Consider whether or not your girl (is her name Buffy? ), would ride in a wagon without trying to jump out. That is the reason I went with a stroller in the first place. Before Maggie lost her rear leg to cancer I tried pulling her in a wagon and she would always jump out. If you have two people walking with the wagon, one to pull and one to monitor for jumping, then a wagon may work for you. But if one person is taking her then a wagon might not be the best choice unless you think she will stay put. Even with some type of tied off leash she could still get all or part of herself out of the wagon. Do you walk more than one dog at a time by yourself? I’ve always had two dogs and when one is riding in the stroller and one is walking it is manageable for me (sometimes both are in the stroller). But when both are out and walking then it is difficult for me to handle two leashes and keep the stroller moving. You could just park the stroller if you were staying in one place like a park but I was usually making a loop so had to keep it with me. Using the modified stroller with the wagon handle and pulling it behind me was much easier with two dogs. I like the stroller because the dogs are in front of me when we are moving so I can keep an eye on them. And it is easier for me to push the stroller for longer periods rather than pull my modified one. All that being said a Tripawd in a wagon doing therapy visits would be awesome! 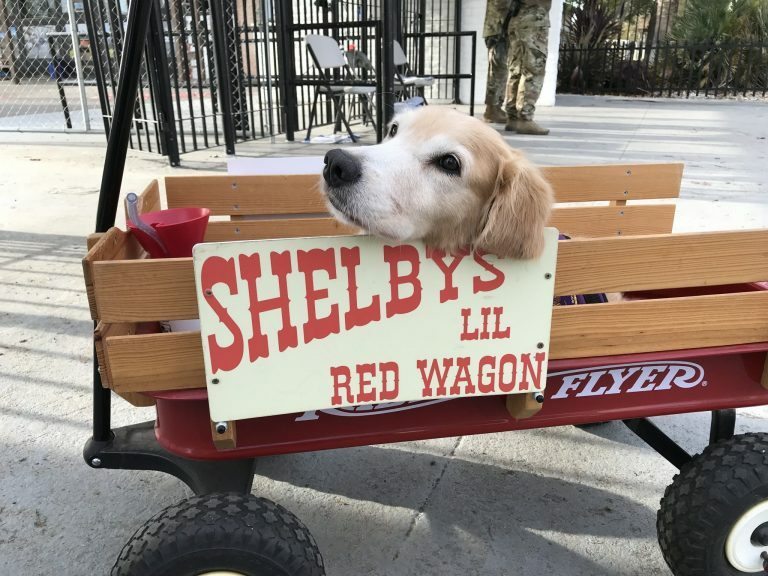 One of the NorCal Tripawds old timers Shelby does lots of therapy work and her people pull her around in her own custom wagon. Shelby lost a front leg very young and is now at least 10 so she spends more and more time riding.